There are 177 posts in this topic. You are on page 1 of 4. Since there is no club started, I thought I would add one to help those of us who are trying to build one, and for those who already have one. Since finding 12 classic Stern stand up target assemblies will be impossible, what is everyone using as a compatible substitute? 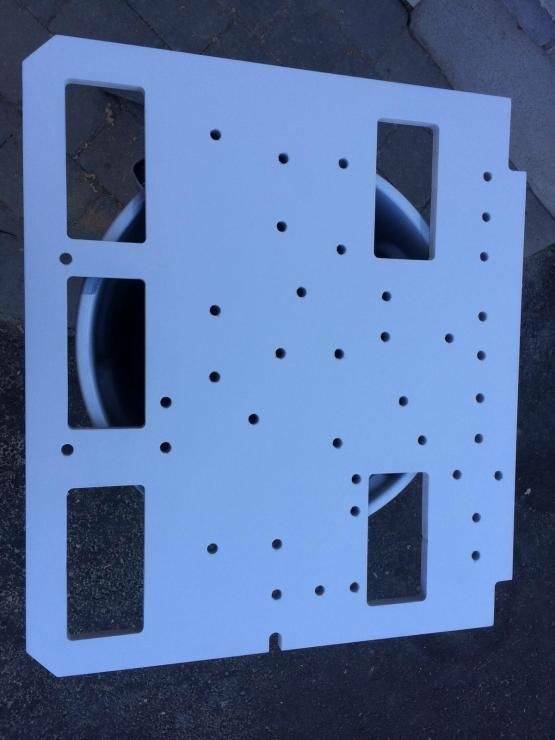 Can we use modern Stern or B/W target assemblies as long as they are front mount? I'm looking to buy one and join the club...anyone? Hello? Can you hear me? Is this thing on? I can't remember where I saw it but someone had made some modified roms for SG. Anyone know where to get them or feel like sharing? These should work (no rivet). Of course, out of stock. For the most part, a standup target is a standup target. I bought some of the repro square target plastics from someone (named Bob) linked to on another thread. Then I bought some Williams units from Ebay and swapped the plastic targets out. The Williams units are front mount and have a diode installed. 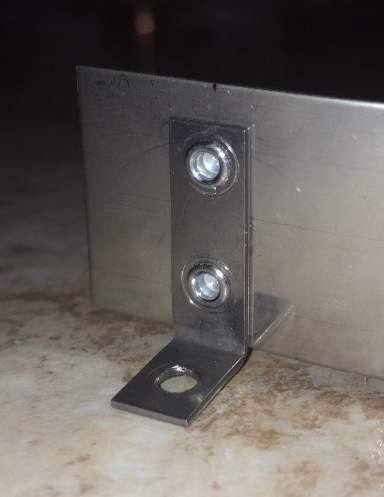 The difference is that the two holes in the mounting bracket are "front to back" instead of side by side like the Sterns. The Williams units also have the foam impact backing behind the switch. If you are going for original look under the play field then the Williams brackets will not work for you. But they will work. The main reason I went with these it that they were cheap on Ebay. 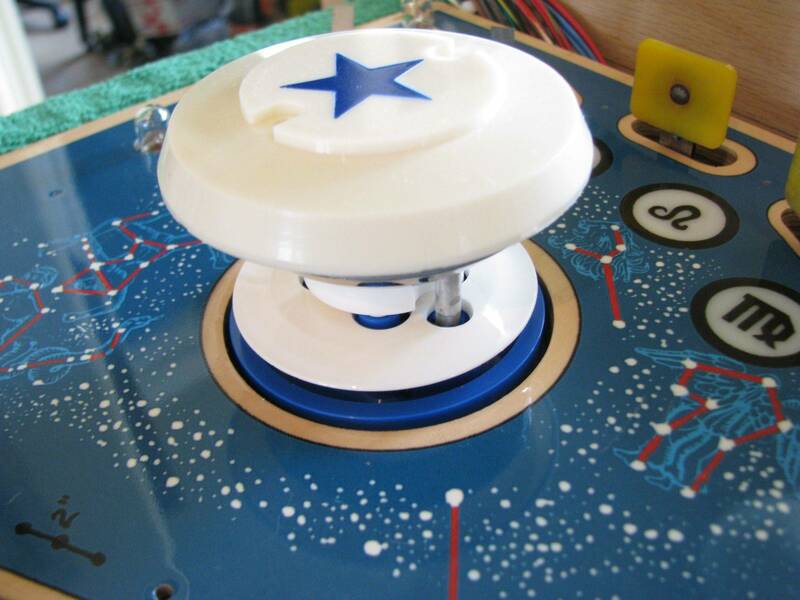 However, Steve at Pinball resource has a Bally "Stand Up Switch Assembly with Reversible Bracket" that looks like it will work. 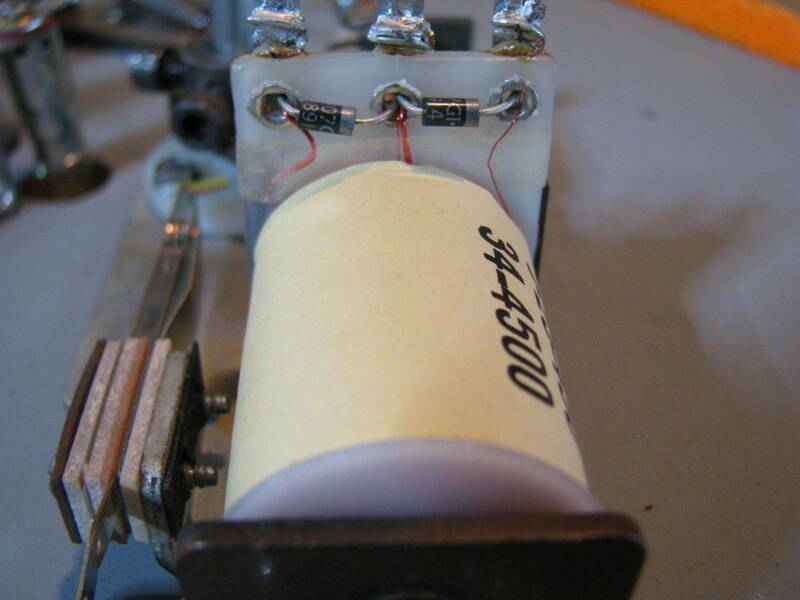 You will need to buy some of those repro targets and add a diode. 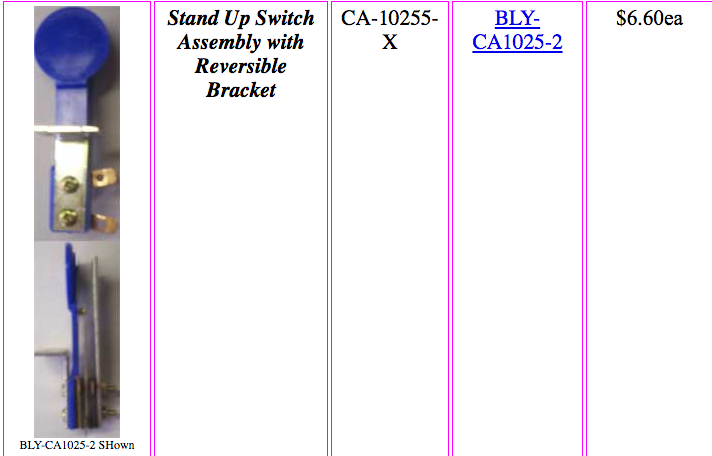 The part number is: CA-10255-X. The problem is that they cost $6.60 each. The repro targets are about $1.50 each. That's $8.00 per switch. You need 11 for a total of $88.00 worth of standup targets !! These do look like they are the "correct" side-by-side" screw holes in the mount bracket. I bought some of the repro square target plastics from someone (named Bob) linked to on another thread. I found his email: He is Bob Langelius. He makes (or did make) the square targets in red, white, and yellow. This pic is what PBR used to stock. THe yellows and whites I bought from Bob look like this one. What are you all doing for the color coded wire for your SG build? Funny....I was gonna start one over the weekend. Thank you. I ordered the Blue assemblies from PBR. If I can't get white square targets from BOB, I may just make decals for the targets. Will probably do that anyway. Thinking of putting the corresponding zodiac sign on each target. I have one in my house. Quite OK condition. See pinballowners for photos. I had it for some 5 months. Just recently totally restored a Firepower. For you guys out there scratch building your SG where were you able to source these elbow brackets for the rails? I bought 12 of those when they were in stock from Marco. My originals were white but I'm going with yellow spinners from PBR and these yellow targets. How did you get yellow spinners from PBR? Thought they were out of stock on all the classic spinners. Bought them several years ago. I had to get the ones with one long arm and shorten/bend it to work. We need 25 sets confirmed for Kerry to move ahead with production. 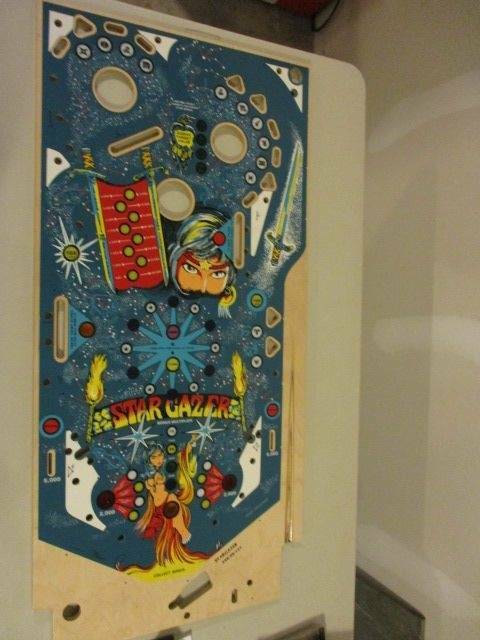 Is anyone else going to attempt a scratch build of Star Gazer since the reproduction playfields have been available and other parts seem to be entering production to make it a possibility as well? I think ppl are under estimating how hard this is going to be. I planned on trying to build one until I was lucky enough to fine one someone built. And he said the only reason they were able to build it was because they had a real sg to copy from, plus the amount of money it costs too. It's not just playfield, harness, bg and wire guides. Not trying to bash anyone for attempting, but they really need to understand what it really takes to do it. i'm doing a scratch build. At this point, it's not as hard as you think. Many of the game pacific parts are made or in process now. Awesome thanks man. I am in the process of collecting parts as well. I'll definitely share any information I gather along the way as well. I need to mention that I'm pretty sure I snagged a lot of those pictures from redketchup's thread when he built his. Yeah I went through his whole thread yesterday as well, very impressive and helpful. 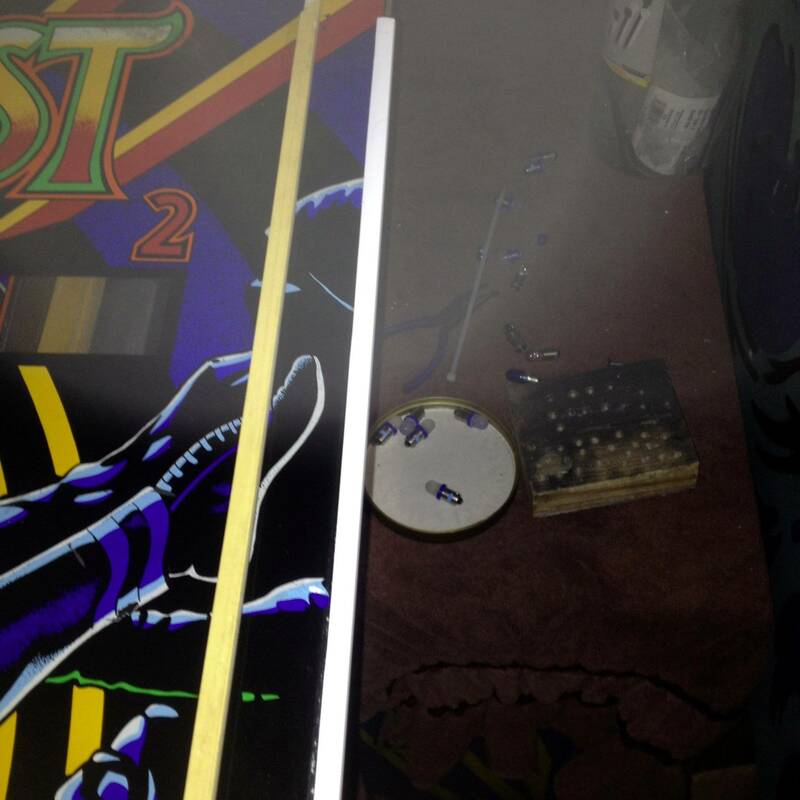 It's not much different than breaking down a pin for a complete restore job. 3 drop targets assemblies with three targets for each assembly..........................................................................??????? 3 pop bumpers ( the plastic pop rings are difficult to find. PBR has no stock).........................................................??????? All of the wiring harnesses are going to be made at Third Coast Pinball by Shawn..................................................$400.00 ?? $3280 is not etched in stone but I think $1000 allowance for all the nickel and dime stuff gives you a lot of room to play. If you do good work it will be almost like buying a new pin. It also depends on how much you had to pay for a donor pin. And it also depends if you will do the work yourself or hire it done. Yep that is almost exactly what I had mine calculated out to be in cost. When I looked at what the last few star gazers have sold for the build made sense. I expect it to be very difficult and time consuming, but I just plan to spread it out over a long period of time and try to enjoy the process. I am scratch building. It won't be easy but it is a lot easier now that people are doing the harnesses and ball guides. Also, a lot easier than my Apocalypse Now Redux. I'm working on a template for the backbox lamp boards. 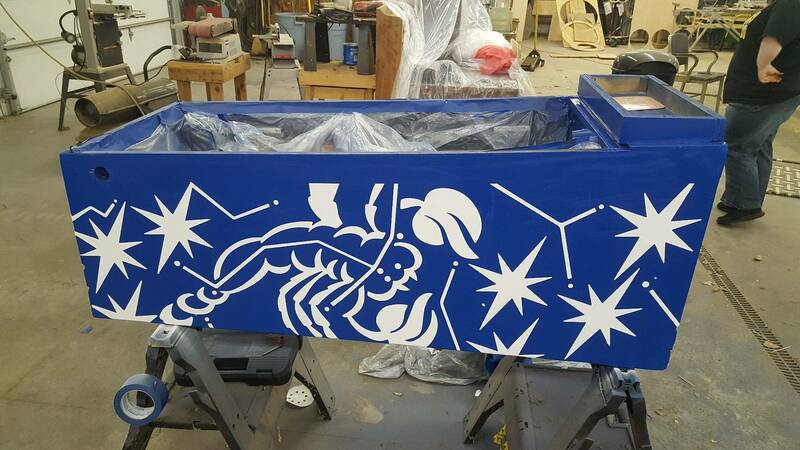 It would be a CAD cut stencil like used for cabinet painting. So, you would just stick down on a sheet of plywood, drill and cut. I'm thinking $30 shipped. Let me know if you're interested in something like this. Have these files? 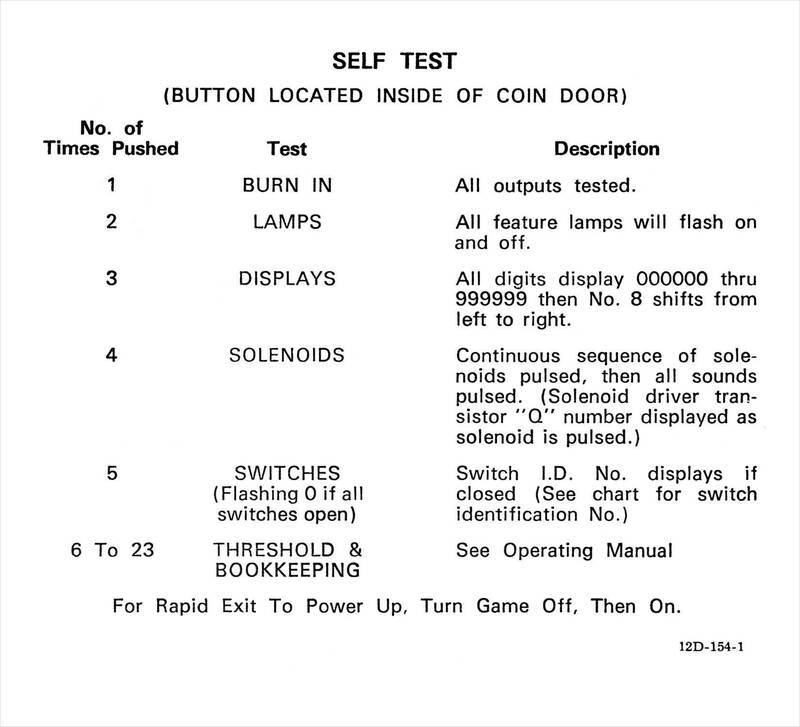 I supplied Inkochnito with the Self Test but we have different 'MPU switch' image files. These are cleaned-up scanned images. That is one of the last challenges I was going to have to deal with. 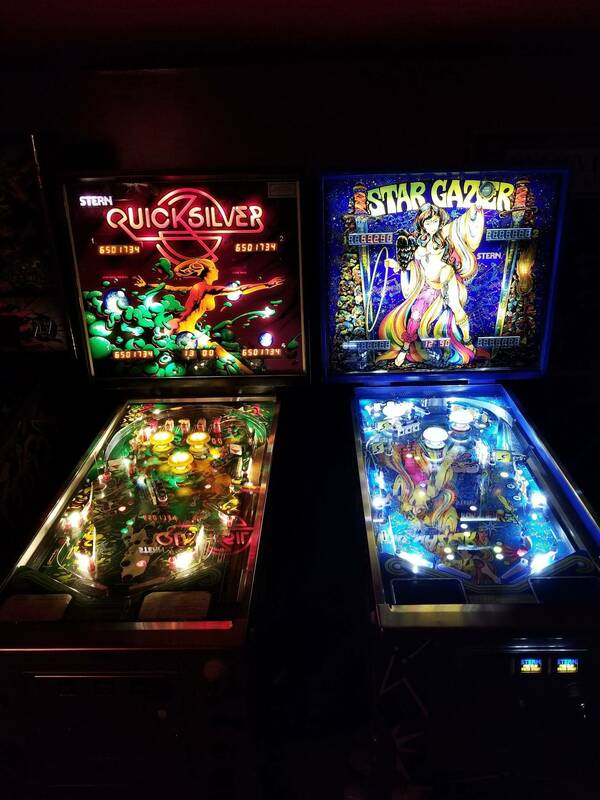 What you propose would work well and I might be interested, but lately I have been thinking that since my scratch build will not and cannot be considered a restoration and is more related to a new build that I may go with those new Matrix LED light strips Comet Pinball is now selling. I have a few Stern drop target assemblies, & maybe a few pop bumper assemblies. If someone is building one from scratch they can contact me. 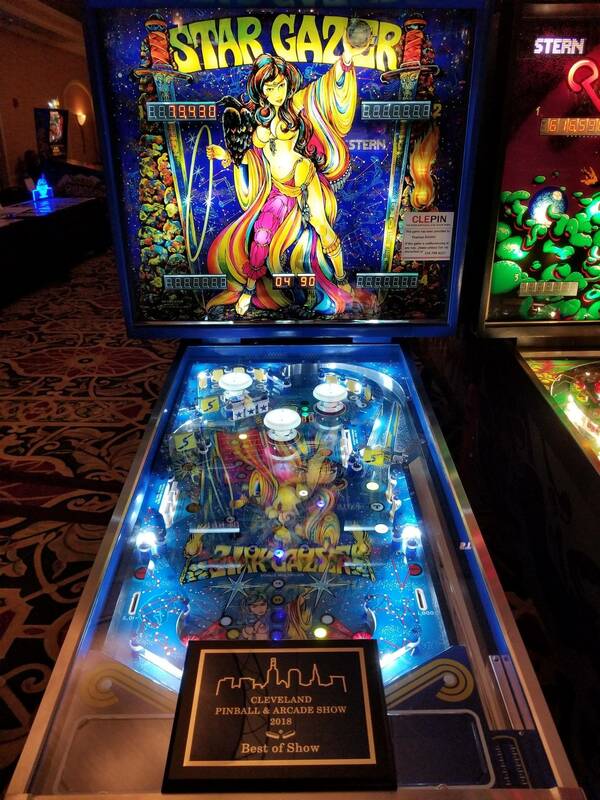 I will work out a deal with a playfield & glass so it all ships together. 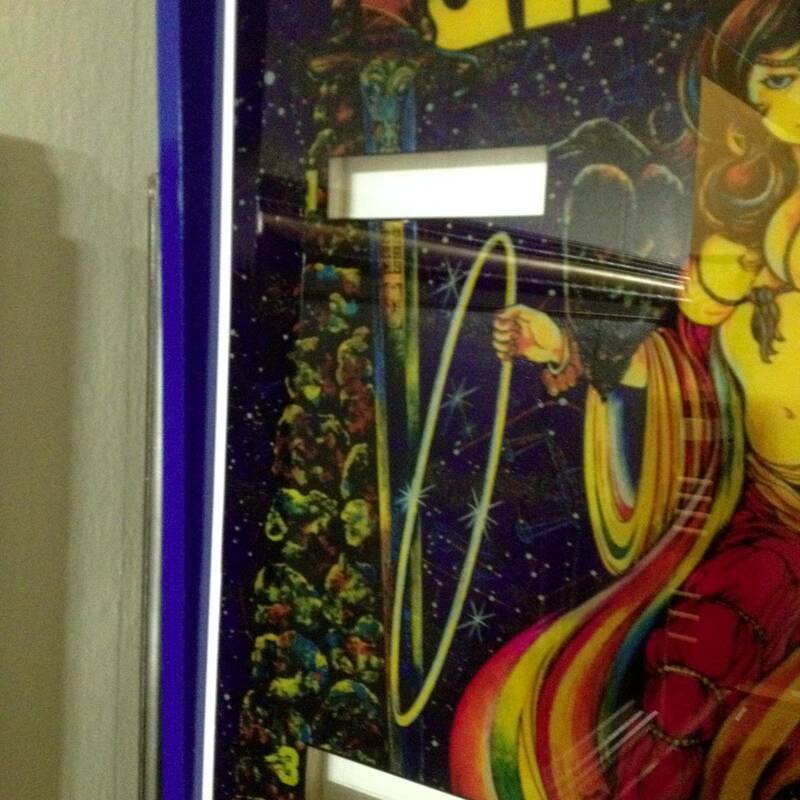 Glass ready to go $275 US shipped with a playfield. 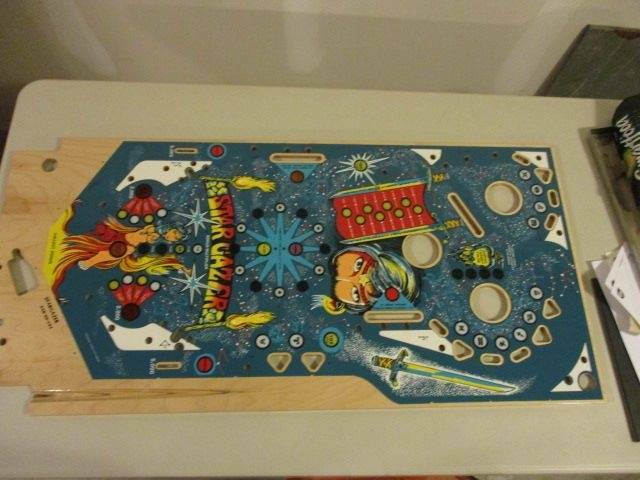 I have 3 playfields for sale, $400 US no clear coat, very nice, playfield is warped but should be flat when populated. 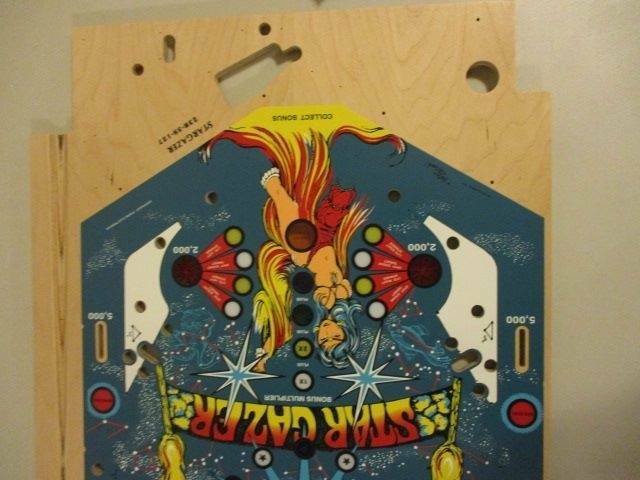 $500 US playfield cleared but has a few weep holes on a few lenses. 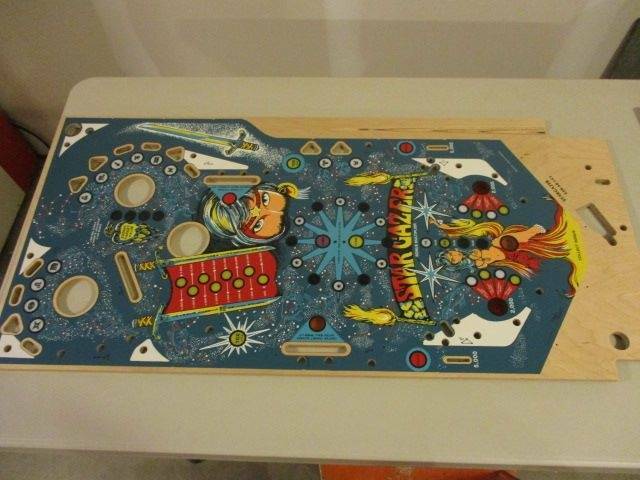 $400 US playfield has a few weep holes, is warped which should be fine populated & has a tiny line from bottom to top in the clear coat from hard maple ply not one piece. I'm still working on 2 & starting over on one. 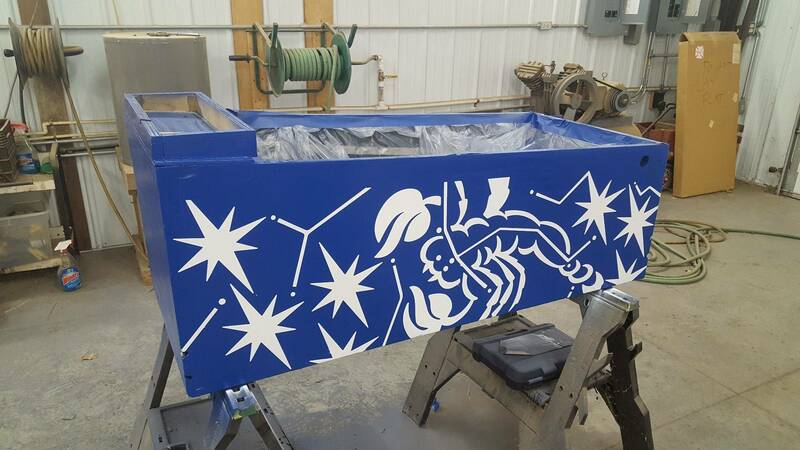 Seawitch playfields are next, & I will do more Star Gazer playfields in the Fall. I made a list of the measurements for the lamp and display hole locations if anyone wants it. 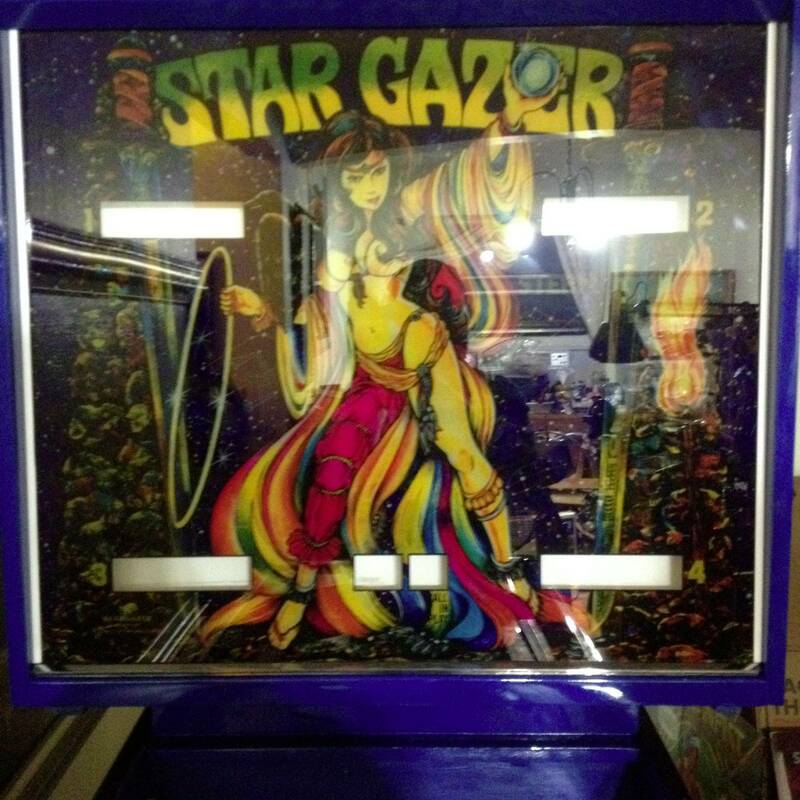 Maybe we should start of Star Gazer builders thread. I've been working on put one together too and have collected most of the parts. I'd be willing to share the parts list I've come up with. As for drop targets and pops...here are some of things to consider. 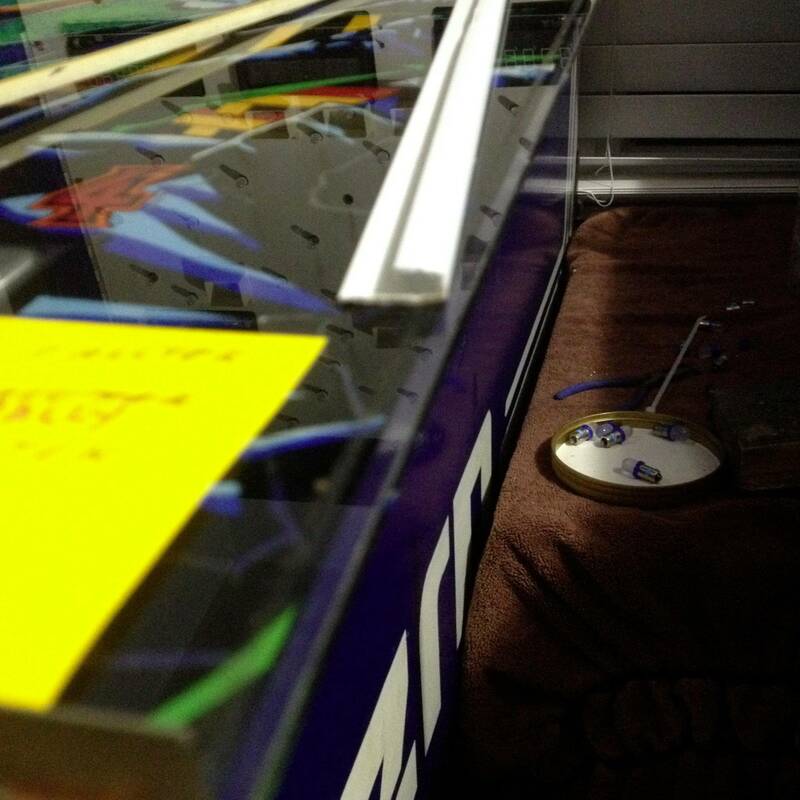 Stern drop targets and pop bumpers are pretty easy to find on ebay too. 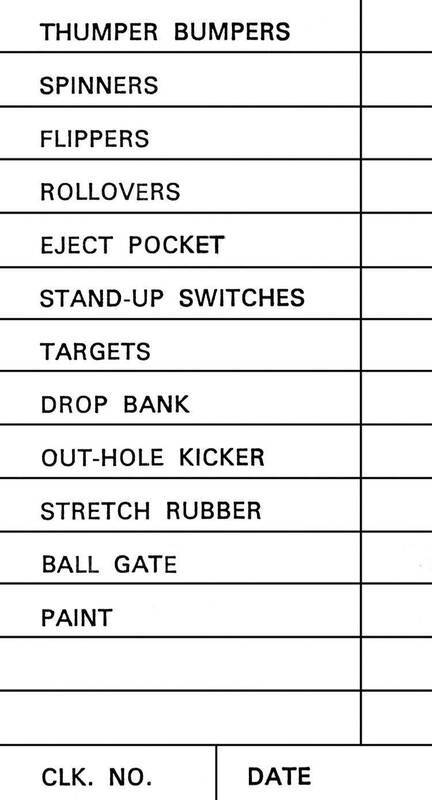 Although there are about five variations of the drop target assemblies. I'd recommend staying away from the 1st variant which are easily to identify because the switches are mounted to the bottom of the assembly. Although all variants should work. The later variants (V4?) 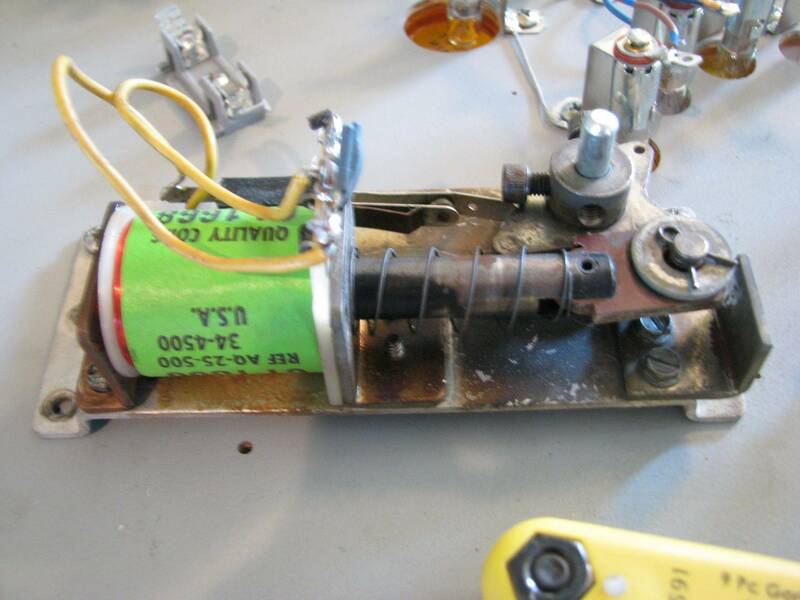 that would appear on Star Gazer have a metal tube and a shorter spring connected to the target. These enhancements were probably added to improve how the targets drop when they're hit. It should be pretty easy to mod drop assemblies to add the shorter sprint and metal tube. As for pop bumpers there are only two variants which are easily identified. The early pops have a metal base and metal pop ring while the later ones have a large plastic base and a plastic pop ring. The early pops are easy to come by off ebay. 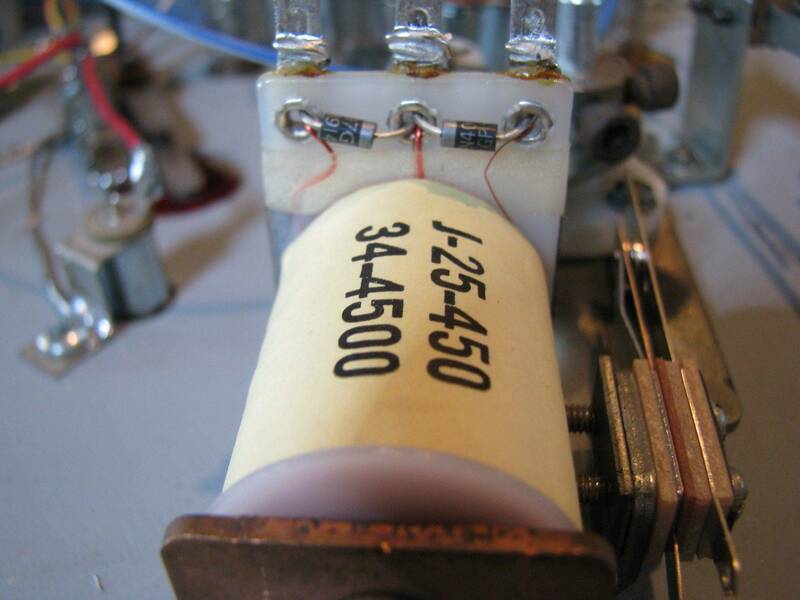 The later ones are much more difficult to find now and parts are harder to obtain other than the base which is sold through pbresource and others. 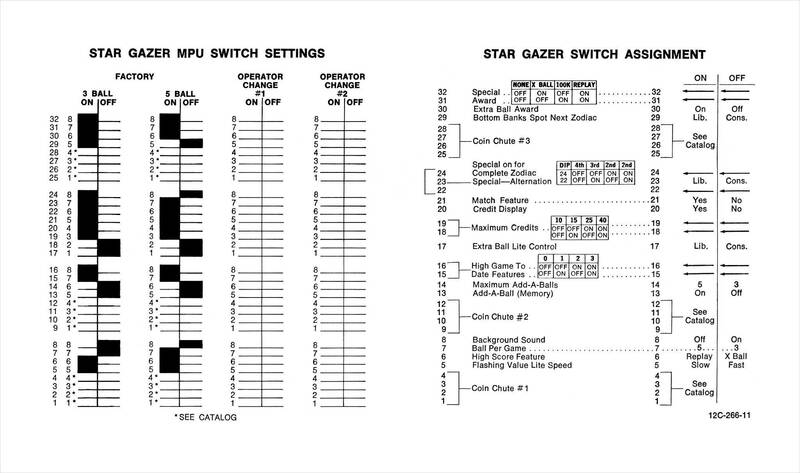 Of course Star Gazer uses the later variant. I honestly don't know if I notice much of a difference between the two. Maybe the plastics ones are quieter and faster. I can't really tell. They are more cheaply made. 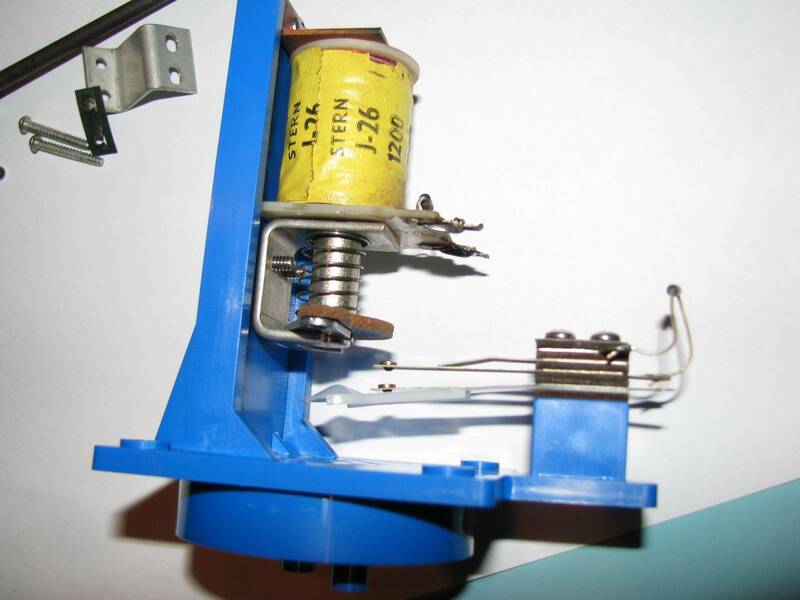 pinballlife sells complete DE pop assemblies with the correct coil. 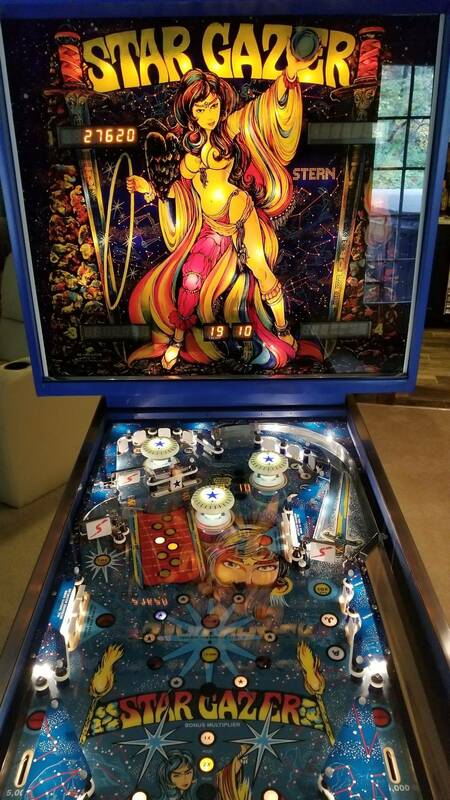 https://www.pinballlife.com/index.php?p=product&id=4009 They have metal rings (IMO Better) but should work. Yes, these will work. I installed three of these on my Seawitch. You can also buy them with the black base instead of blue. What makes these type of pop assemblies so nice is that the pop spoon is always lined up to the rod on the skirt perfectly. If you modify your wiring and install your pops with molex connectors you can remove them and easily adjust your pop switch at your work bench. 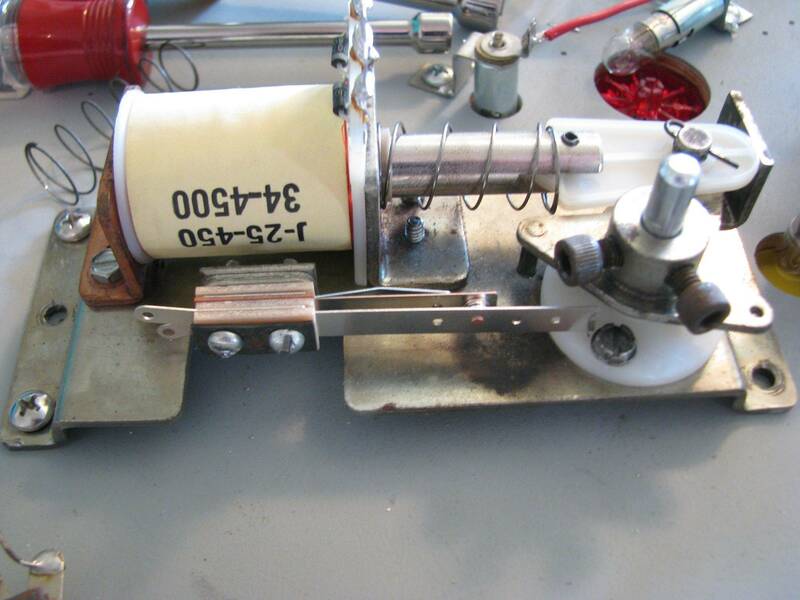 Several coil options are provided and you need to make sure you order with the correct coil option. 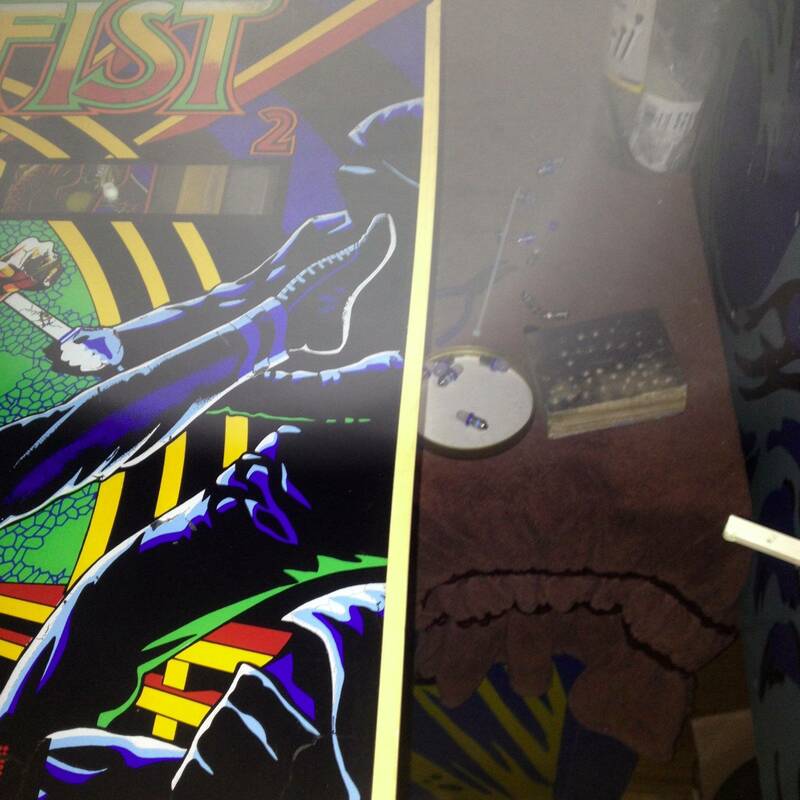 I chose the blue base to blend in with the blue playfield. Thank you for confirming they fit. Good idea on the connectors. 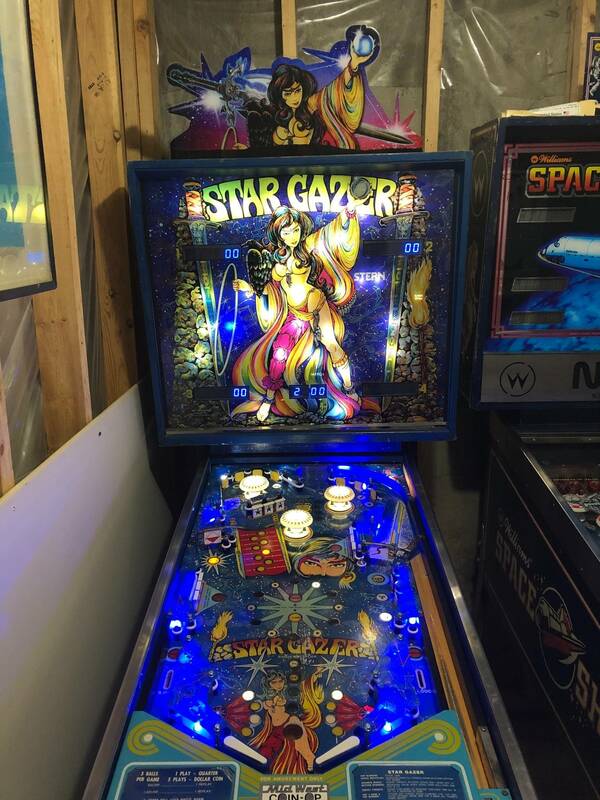 What pin cabinets are compatible for a star gazer? Hot Hand, Meteor, Galaxy, Ali, Quicksilver, Nine Ball, Lightning, and Catacomb. 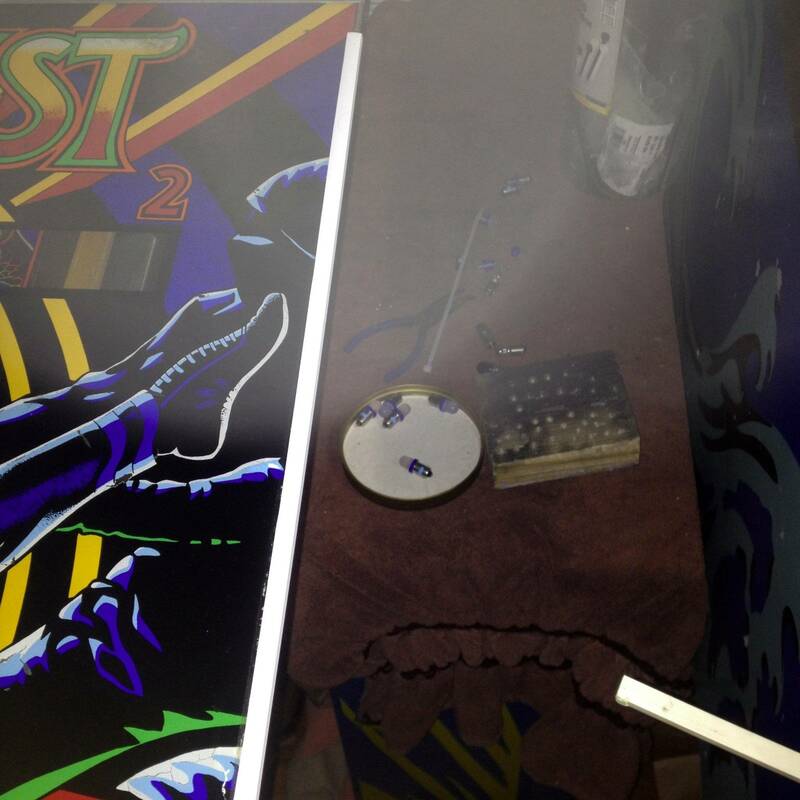 Also, Dracula cab and backbox will work. Since Trident came after Dracula, it should work, too, Actually, I think any of Stern's standard width cabinets should work if you are just talking about the woodwork part. I'm not sure but I think Stern's back boxes were all the same. 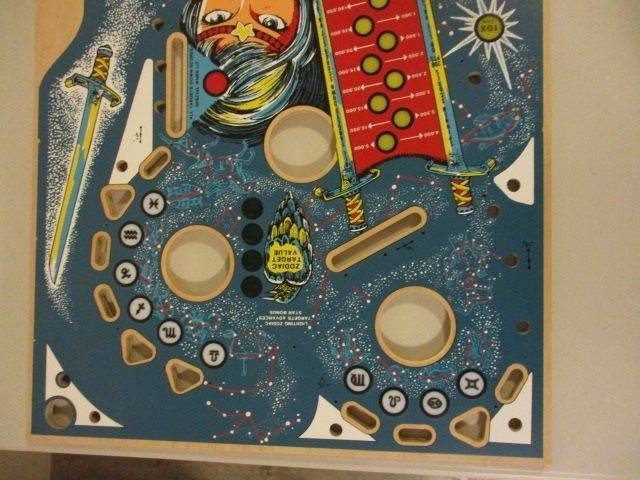 The $500 US playfield, glass, & parts are sold. I have 1 more glass in stock. 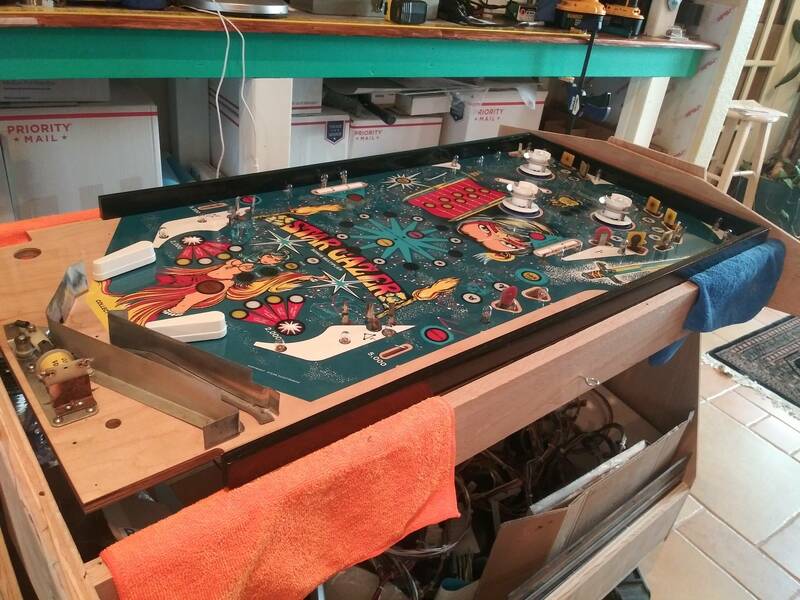 The $400 US cleared playfield is a super deal for a worn playfield. If you modify your wiring and install your pops with molex connectors you can remove them and easily adjust your pop switch at your work bench. That will be offered as a variant on the play field harnesses when I get to them. It will add a little more to the cost but not significantly. I can add plugs for anything with a coil including the drops with all the switches. The only real drawback is you are adding another connection point, but the ability to unplug and remove your drop target assy to change out a busted piece is pretty dang nice. 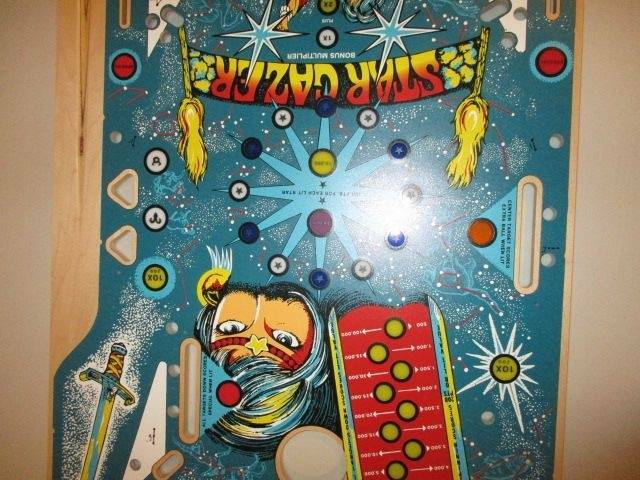 As I am building a playfield from scratch I have a few questions as well. I have, at this time, two Stern and one Bally drop target mechs. 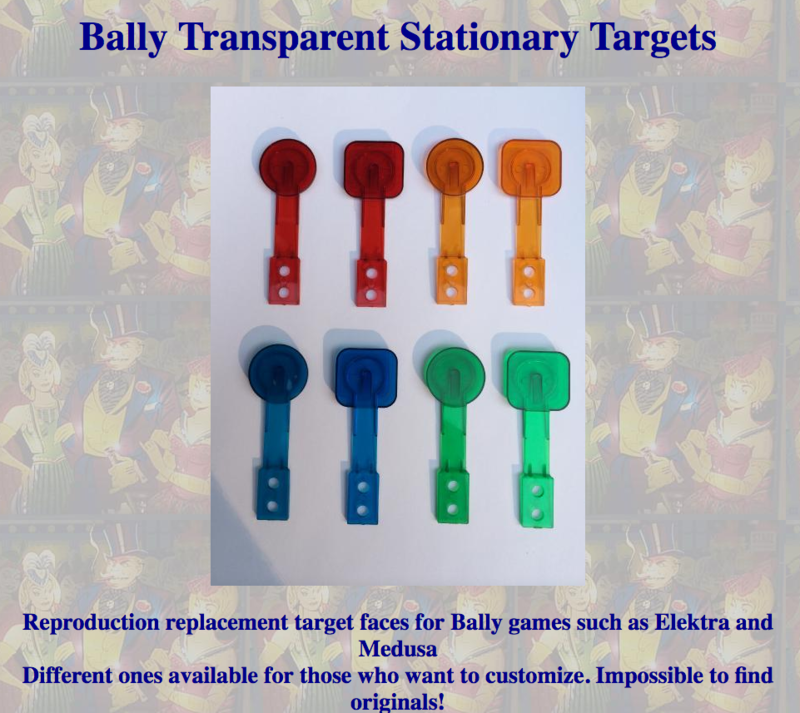 If I cannot find another Stern one will the Stern targets work in the Bally mech? I haven't had time to examine them closely yet. And one of them came with the switches on the bottom but there are holes to move them to the back like the other. Seems interchangeable to me. Looks like the P/F harnesses will come out around $180 plus shipping.